It is possible to stay composed at a funeral. 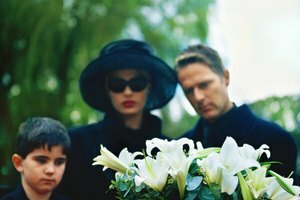 Maintaining composure during the funeral of a loved one can be difficult. 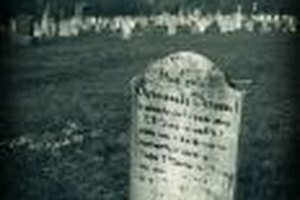 The experience can be very painful, especially when the deceased had suffered a complicated or even violent death. It's not uncommon for people to to break down and cry during the ceremony. There are, however, steps that you can take to prepare yourself emotionally ahead of time, so that it may be easier to remain calm and composed at the funeral. Talk to someone before the funeral. Find a person in whom you can confide. A confidant, counselor or religious leader should be able to help you deal with your emotions and gain perspective. Accept your emotions. Realize that you are in mourning and that you must go through all the stages of grief. Mourning is a natural part of dealing with loss. Trying to resist it may only make you feel more vulnerable. Cry as much as you need. If you allow your emotions to completely let free beforehand, you may feel some relief from the grief, which will help you stay calm. Talk to other people who were close to the deceased. Reminisce and share funny stories to help each other laugh. This will help you focus on remembering only positive thoughts at the ceremony. Stay near a close friend or relative during the funeral. This person can provide you with emotional support and comfort. Remember that it is okay to lose composure at times. It is better to shed a tear or two than to hold it all back painfully. Other attendees will understand if you are unable to stay composed during the entire funeral. Join a grief support group to talk to others who are also dealing with death. If you are feeling depressed for an extended period of time, or have thoughts of suicide, seek professional help as soon as possible. Amanda Gamm has been a freelance writer since 2011. She works for Daily Glow and Essay Writers. She holds a Bachelor of Arts in marketing communications from Middlesex University. Gamm, Amanda. "How to Maintain Composure at a Funeral." Synonym, https://classroom.synonym.com/how-to-maintain-composure-at-a-funeral-12083794.html. 29 September 2017.